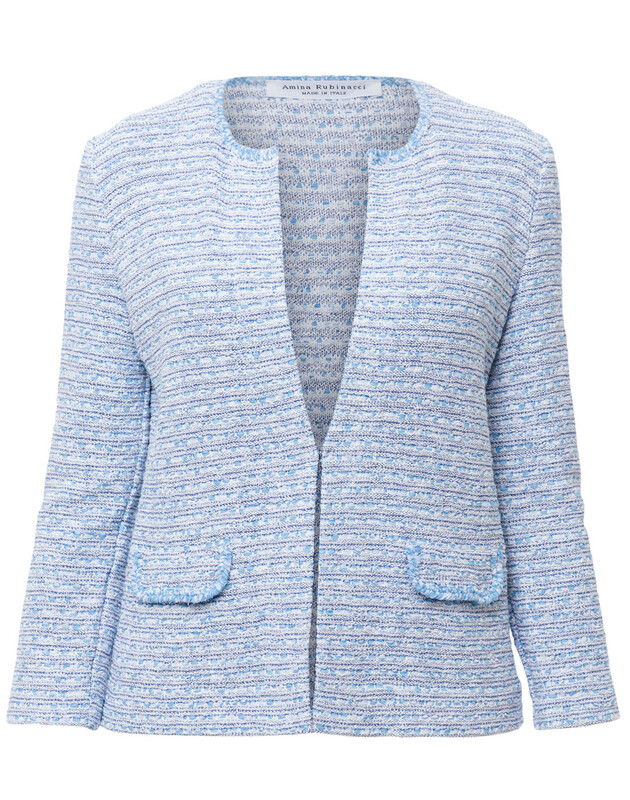 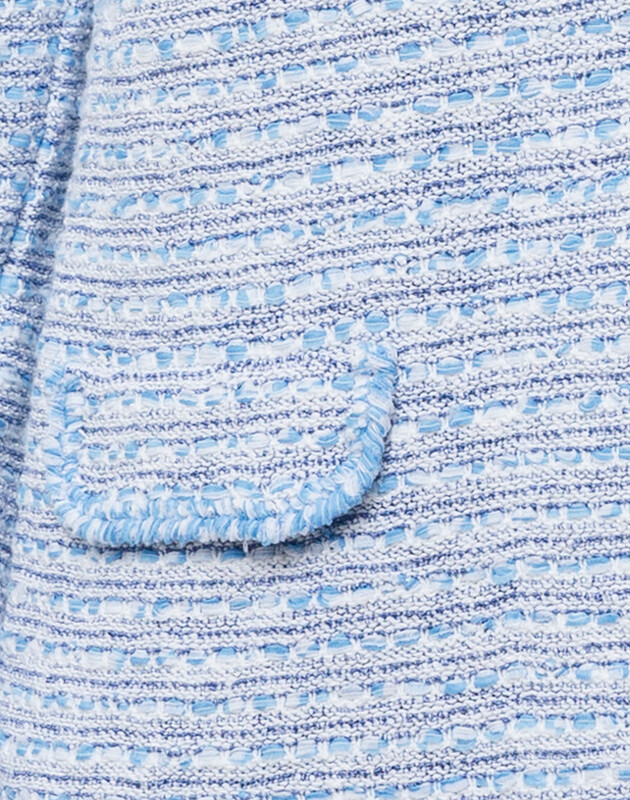 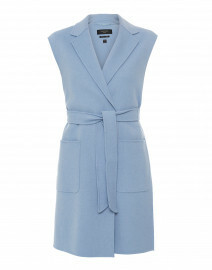 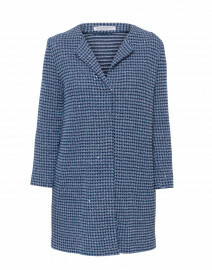 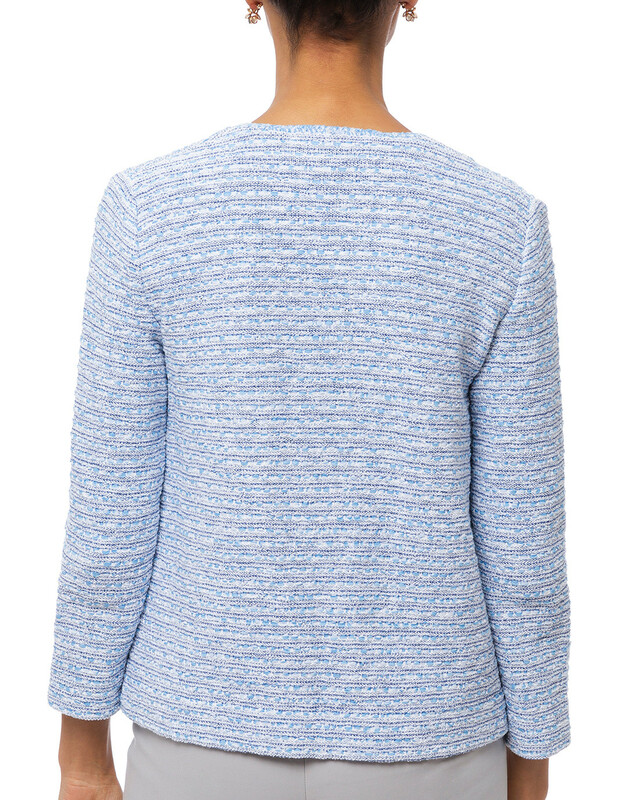 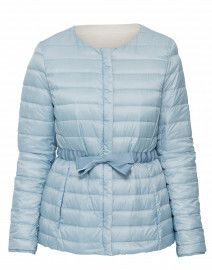 This sky blue and white cotton-blend tweed cardigan is a classic Amina Rubinacci piece. 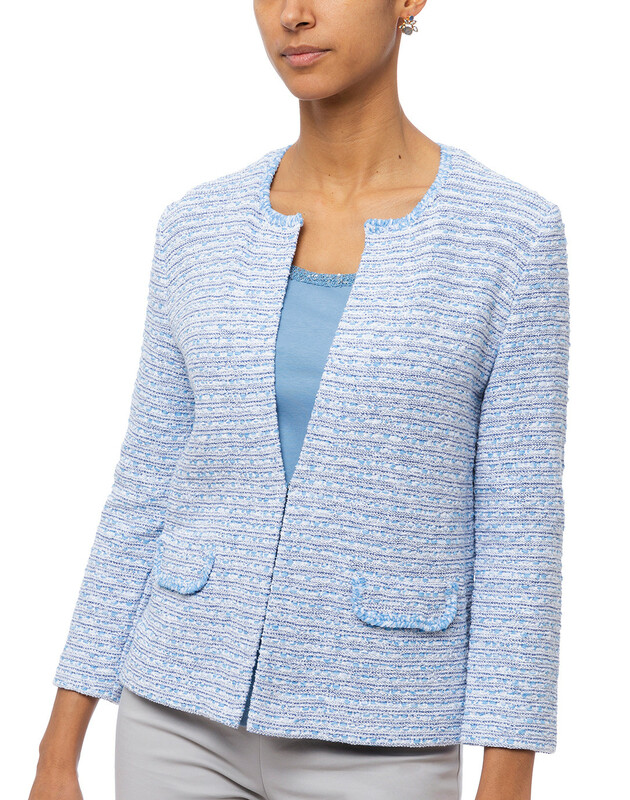 It's made in Italy, and shaped with a collarless neckline, concealed hook and eye fastening, and flap pockets. 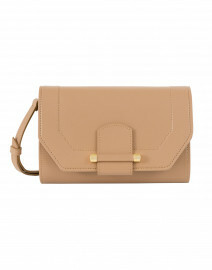 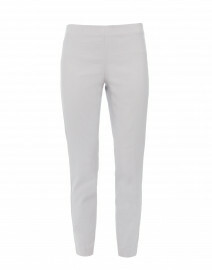 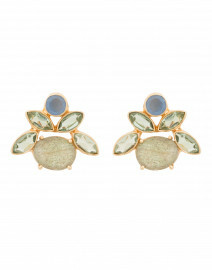 Wear it with a matching skirt for a demure daytime look.